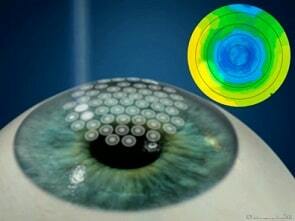 EyeMax is the new intraocular lens (IOL) for patients with macular degeneration. 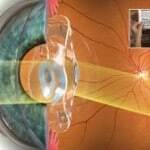 This lens, which is suitable for people suffering from dry or wet macular degeneration, enlarges images and project them to the entire peripheral macula, improving vision. People suffering from macular degeneration often have damaged the very central part of the macula with a relative healthy peripheral macula. 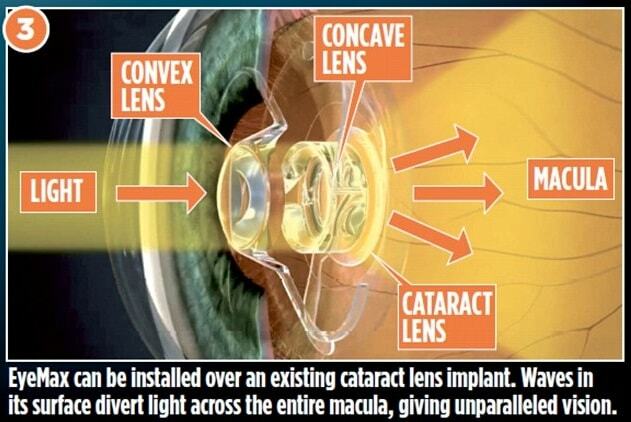 The EyeMax IOL, moving images from the central damaged part of the macula to the healthy peripheral macula, can restore a good quality of vision. 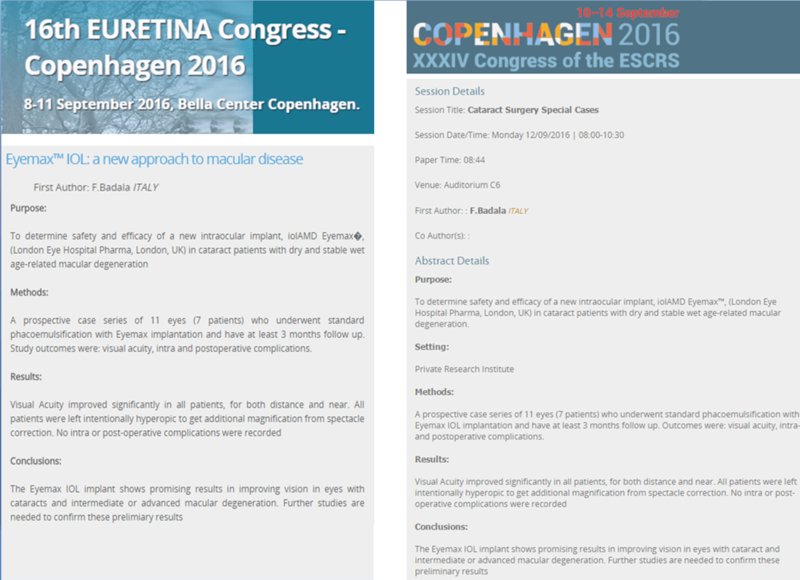 During Euretina meeting in Copenhagen, from the 8th to the 11th September 2016, and the European Society of Cataract and Refractive Surgeons (ESCRS) meeting, Dr Badalà will present the results of this new technique for the treatment of macular degeneration. 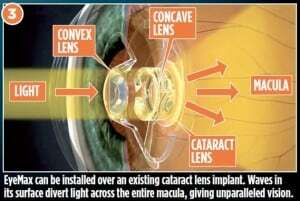 Some clinical cases will be analyzed, showing the efficacy and safety of EyeMax lens, developed in London by a group of experts, such as Dr Qureshi, Professor Artal and Dr Badalà. First results of Italian patients treated with this technique are encouraging; all patients reported improved vision and no post-operative complications were recorded. “ Surgery is similar to standard cataract surgery; it takes about ten minutes, under local anesthesia, and it can be performed even in those patients who have already had cataract surgery”, says Dr Badalà interviewed on the next European Congress Euretina.